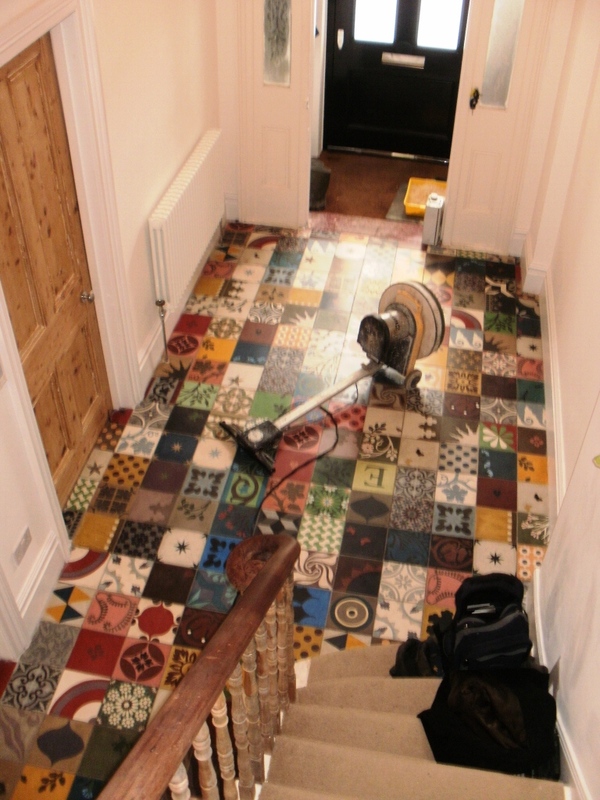 This unusual Emery and Cie Cement Encaustic tiled floor in Ealing W5 had been poorly installed by the tiler with grout haze on the tiles and the wrong sealer used. 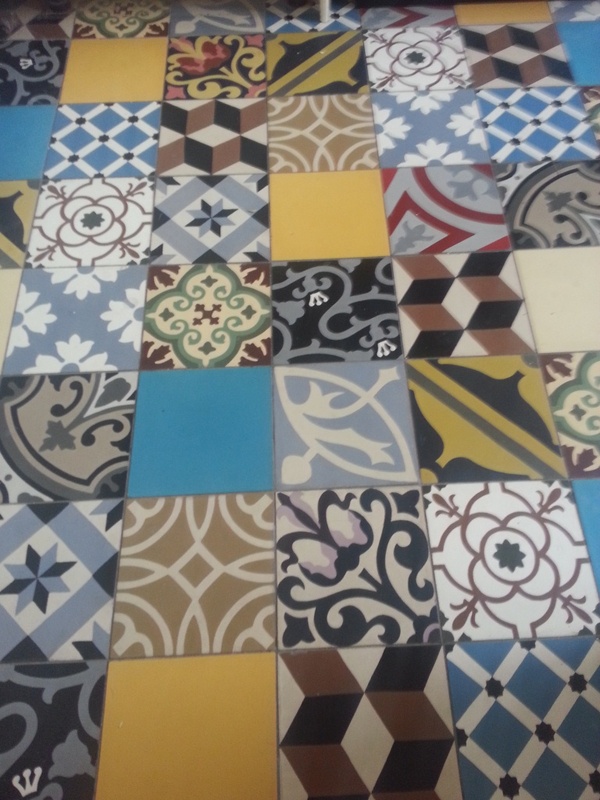 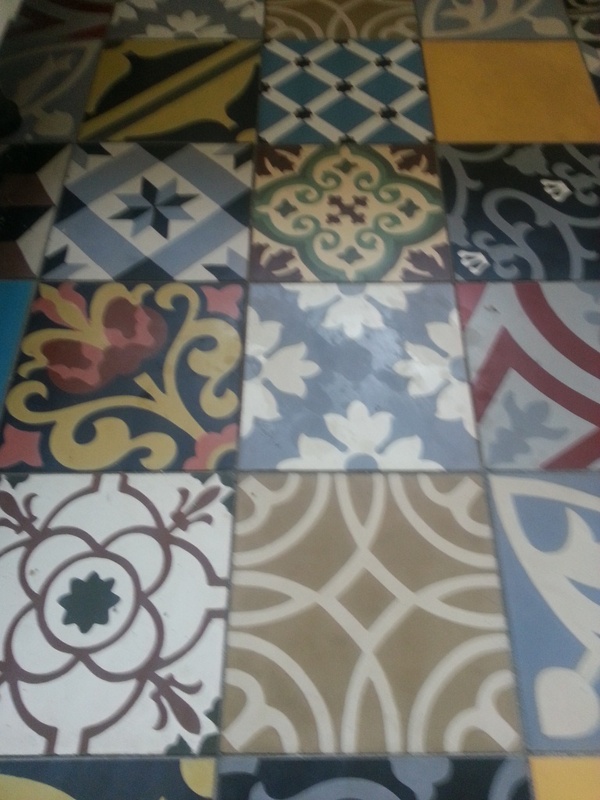 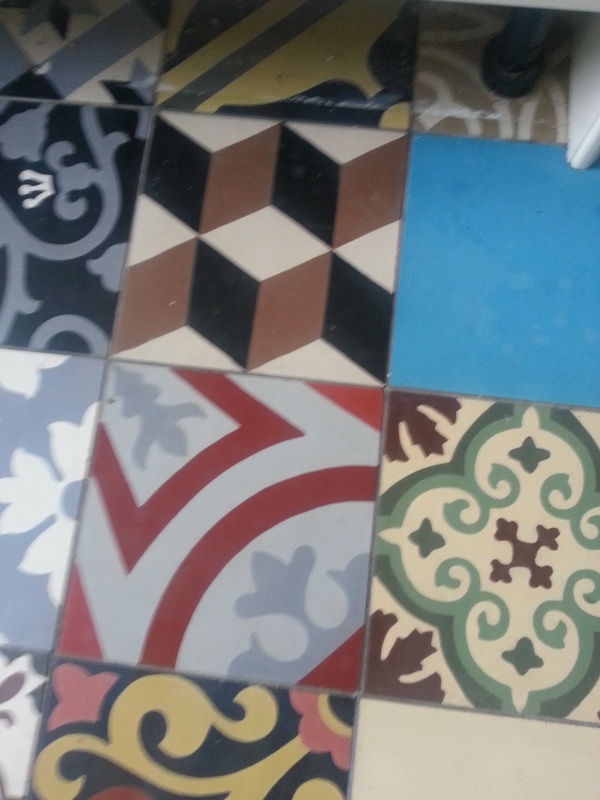 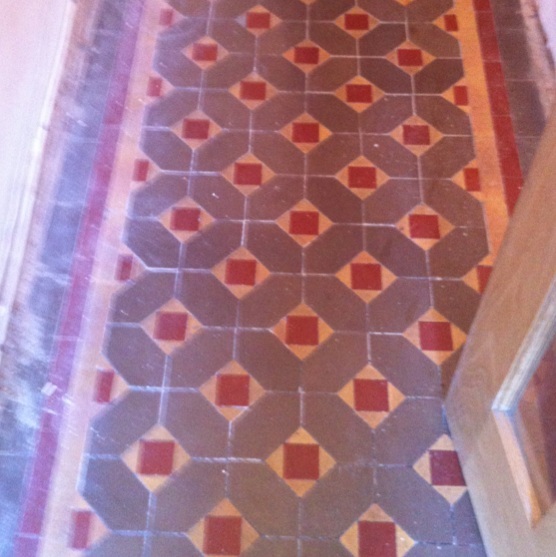 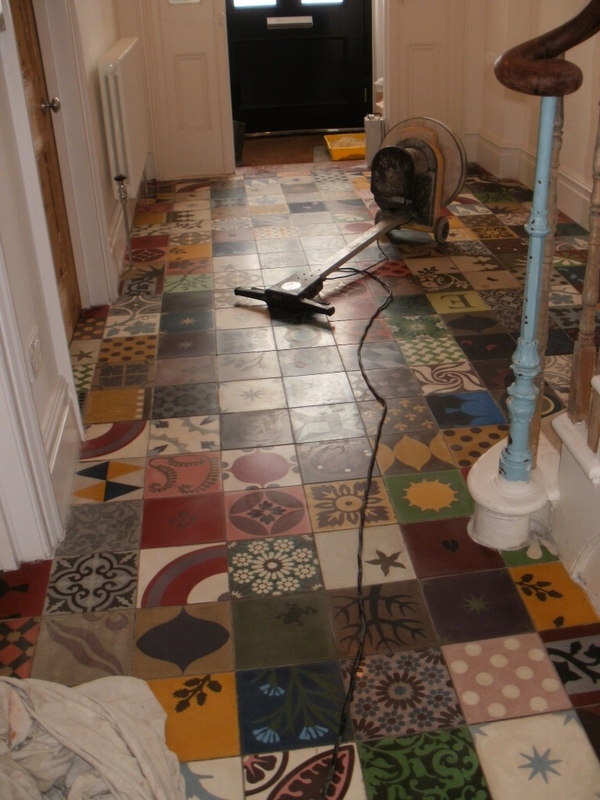 Cement encaustic tiles are quite delicate and difficult to restore. 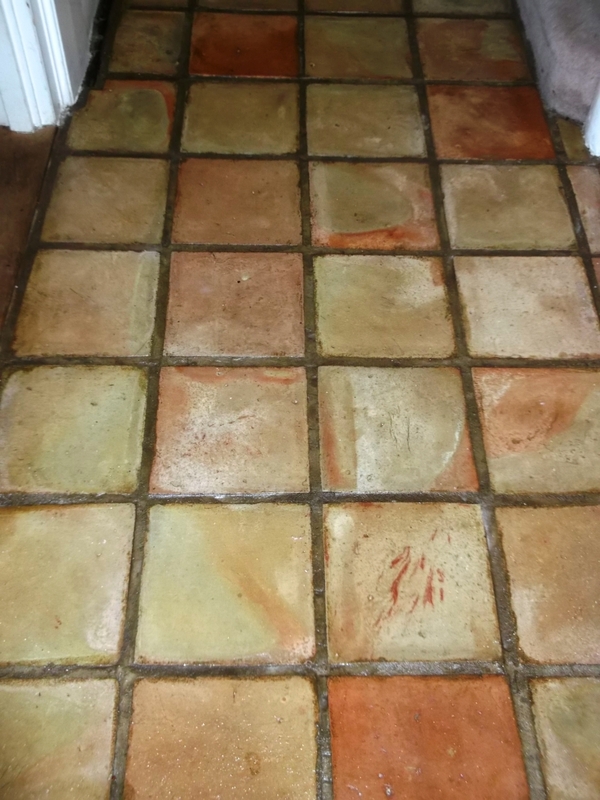 I used a red burnishing pad fitted to a buffing machine to cut into the tile surface and remove the grout haze and old sealer. 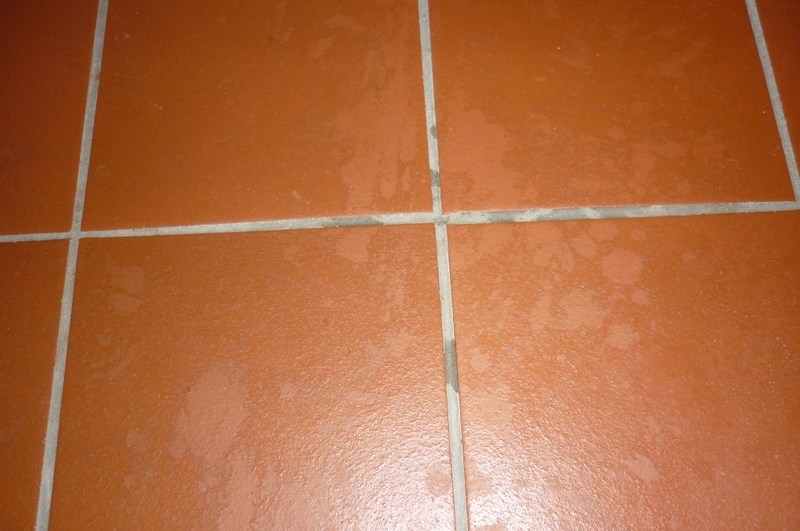 The next step was to apply a dilution of Tile Doctor Pro-Clean letting it soak into the tile before working it in to the tile with a red buffing pad. 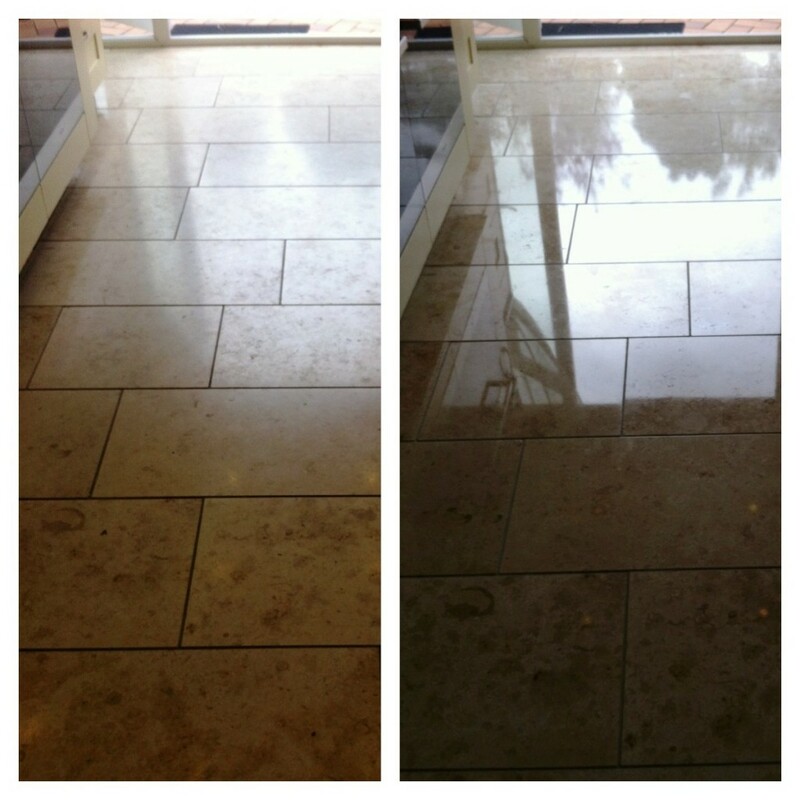 The soiled cleaning solution was then removed using a wet and dry Vacuum and the floor washed down with clean water. 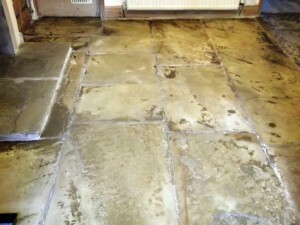 This cleaned up the floor well but there were some stubborn stains which were removed using a steamer. 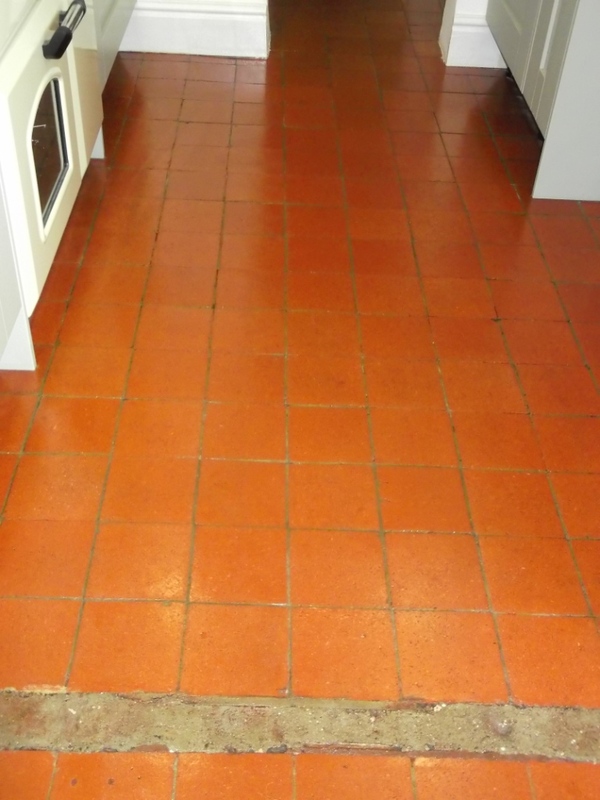 Once the floor had dried it was sealed using three coats of Tile Doctor Colour Grow which is a colour intensifying sealer that provides durable surface protection. 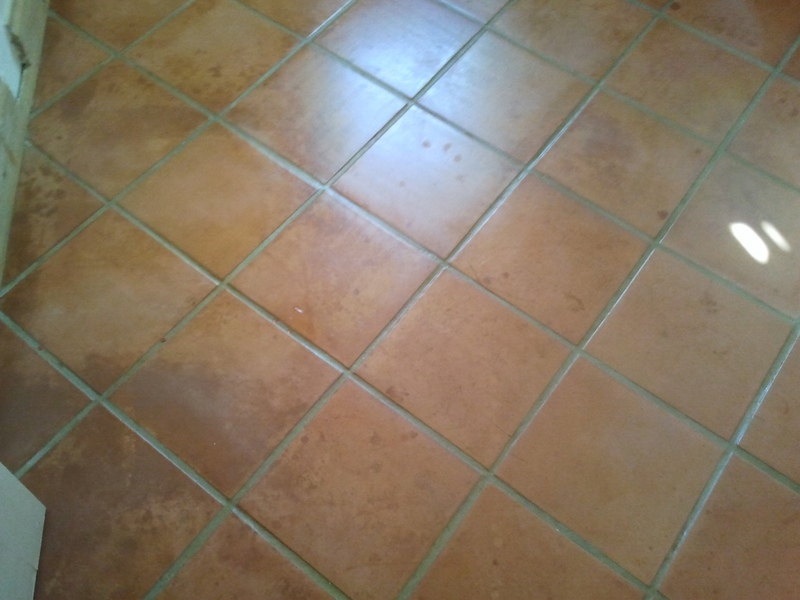 Last step was to burnish the tiles again with a green burnishing pad to bring up the shine. 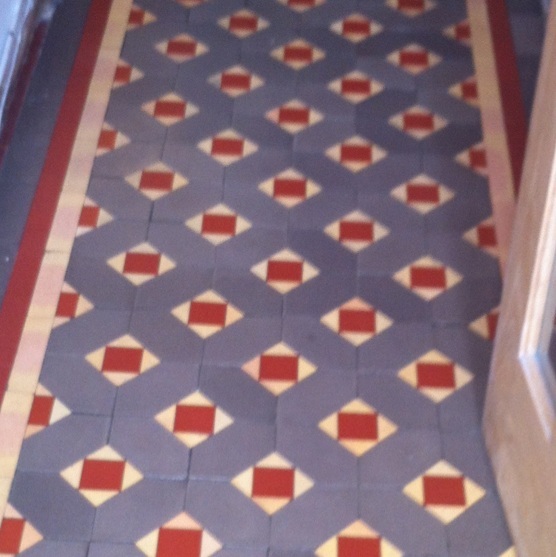 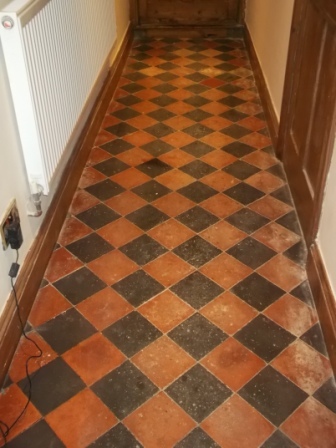 Although the floor had been too damaged to be made perfect, it was very much better when I had finished and the customer was delighted with the result. 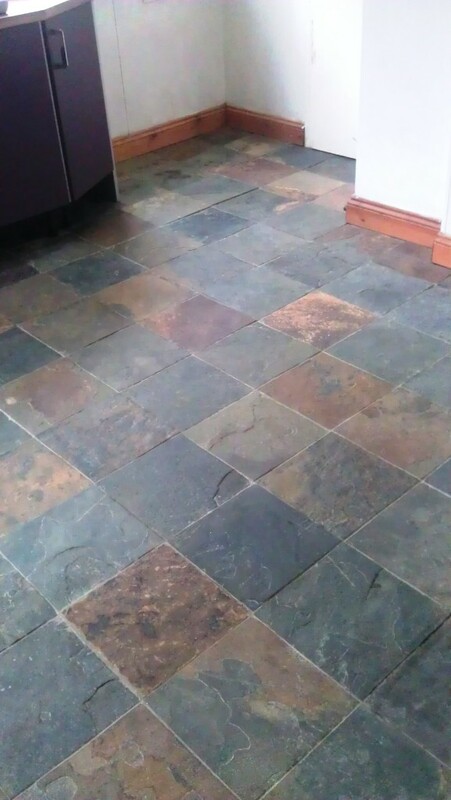 This beautiful slate floor had been sealed several years ago, the sealer had worn and it was in need of some slate flooring care. 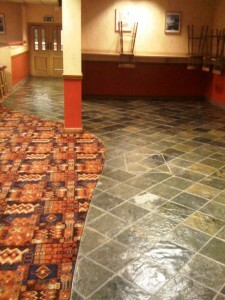 The floor was cleaned with Pro-clean, it was a reasonably large and it tool around 2 litres to get it clean. 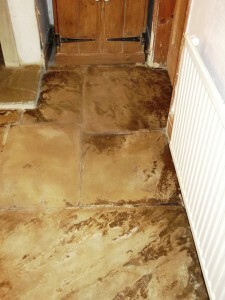 We then left it to dry overnight and came back the next morning to seal it using 6x coats of Seal & Go consuming around 2 litres of the product. 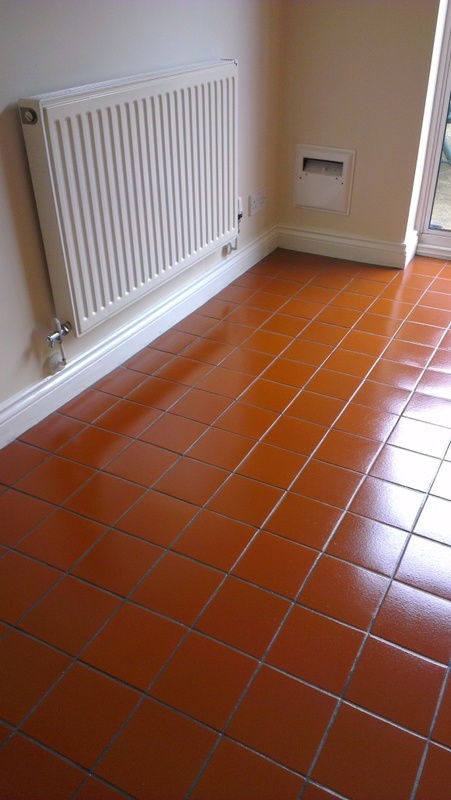 Details below of a terracotta floor cleaning job we did near Boston, that’s Boston in Lincolnshire which is small port on the east coast of the UK as opposed to Boston, Massachusetts which was given its name by emigrants from this area. 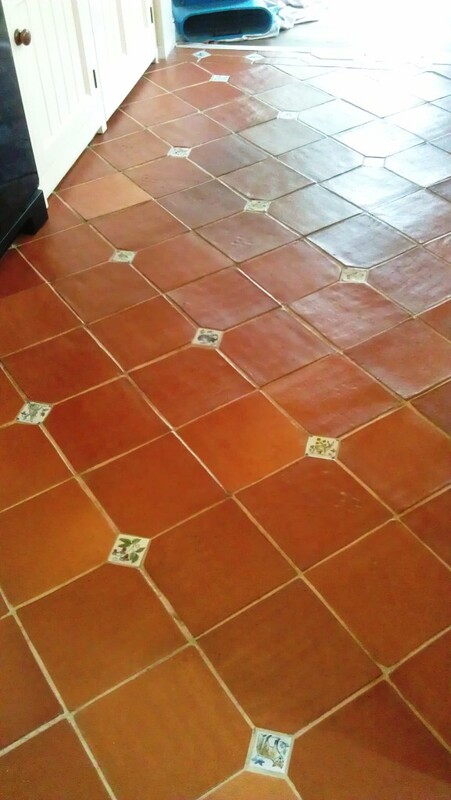 The tiles were expensive handmade terracotta tiles, a few of which contained finger prints that had been baked onto the tile during the manufacturing process. 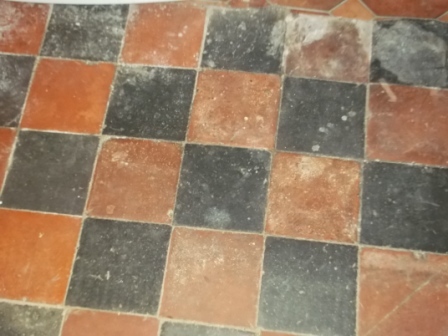 The owner had previously tried to seal the floor themselves using other products but was having difficulty and had delayed making use of their new kitchen extension until the floor could be sealed. 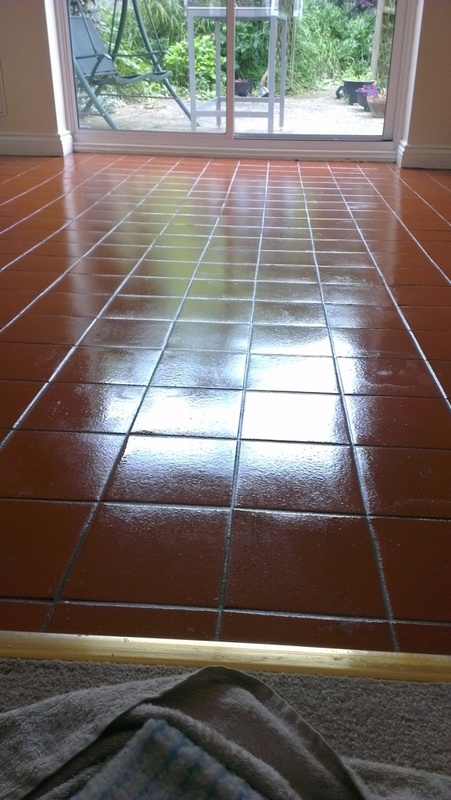 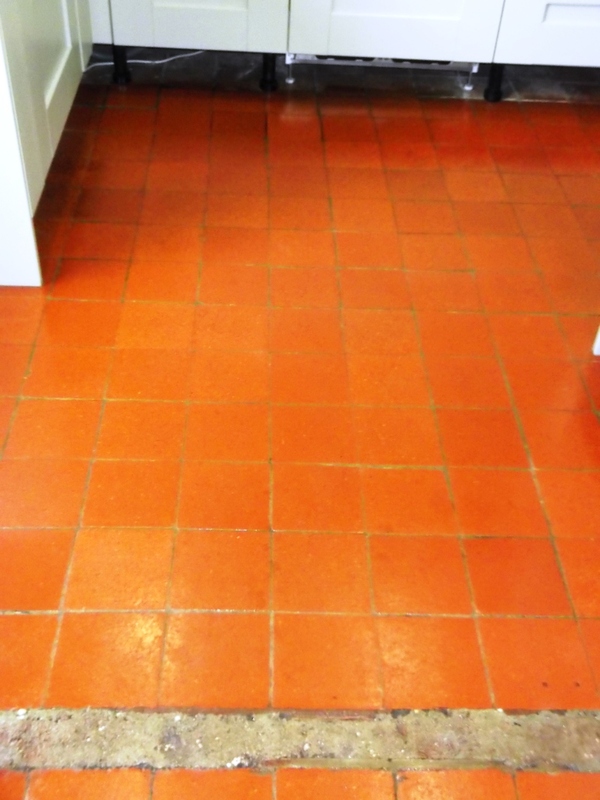 To ensure a consistent finish we had to remove the previous sealer and make sure the Terracotta floor was clean it was scrubbed with a buffing machine assisted with Tile Doctor Pro-Clean which is an effective alkaline cleaner and sealer remover depending on the dilution. 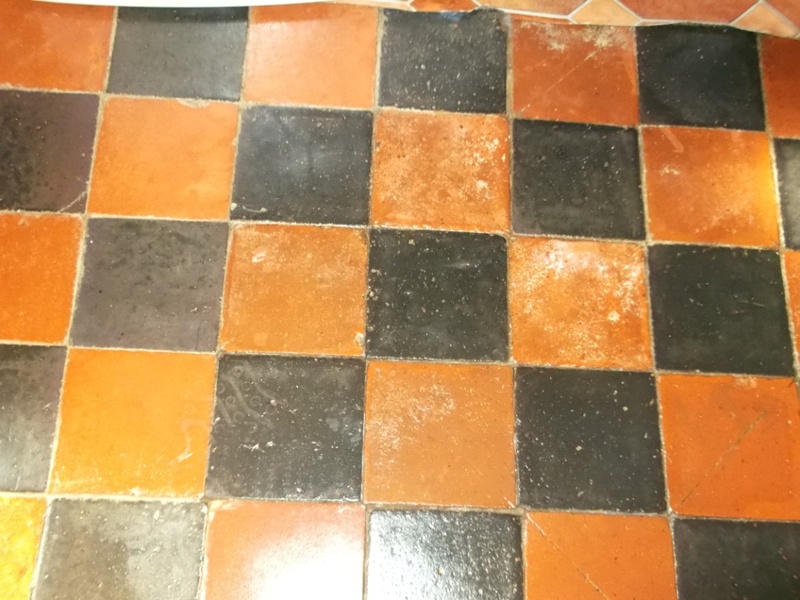 Cleaning the Terracotta floor tiles took a day to complete before being washed down with clean water to remove any remaining cleaner and neutralise the floor. 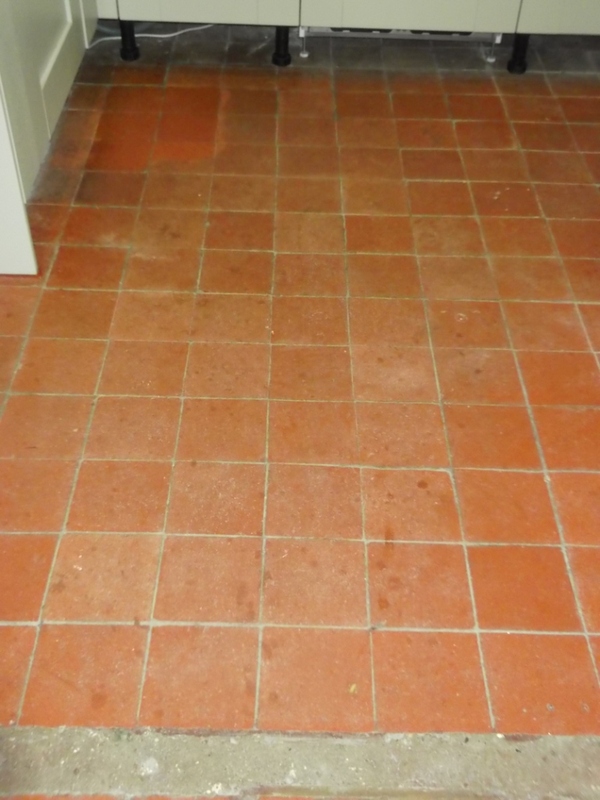 The floor was left overnight to dry and we came back the next day to apply a sealer to protect the tiles, sealing those pores that collect dirt and make them easier to clean. 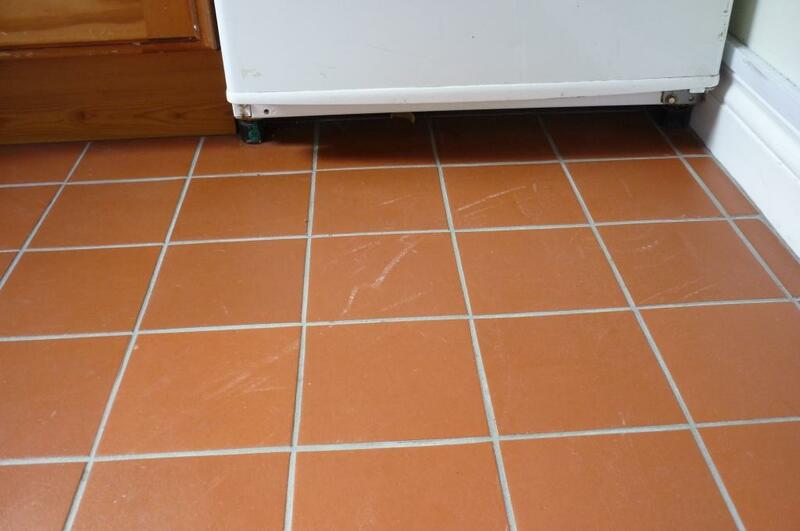 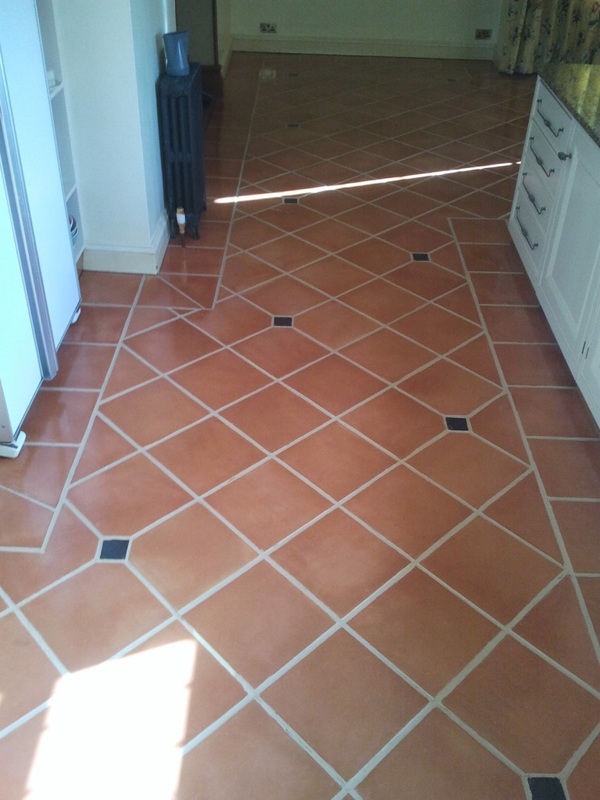 We used four coats of Tile Doctor Seal and Go for this; it’s recommend for Terracotta floors bringing out the colour in the tile whilst providing a Matt finish. 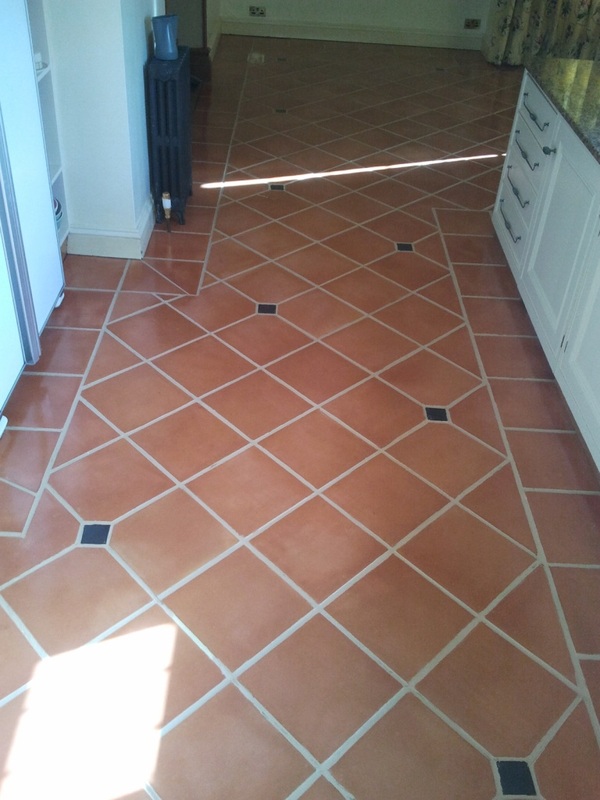 The customer was over the moon with the results and can now move into their new kitchen and sealed tiles. 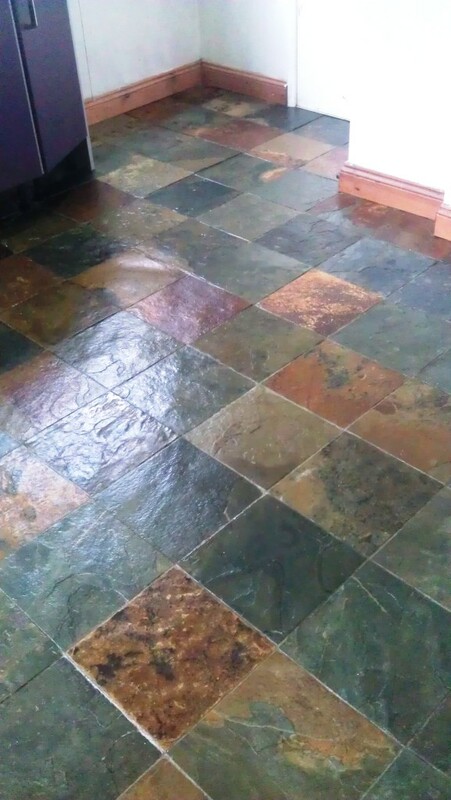 Slate floors especially riven slate can be a nightmare to keep clean as the uneven surface of a riven tile traps dirt and makes it difficult to clean. 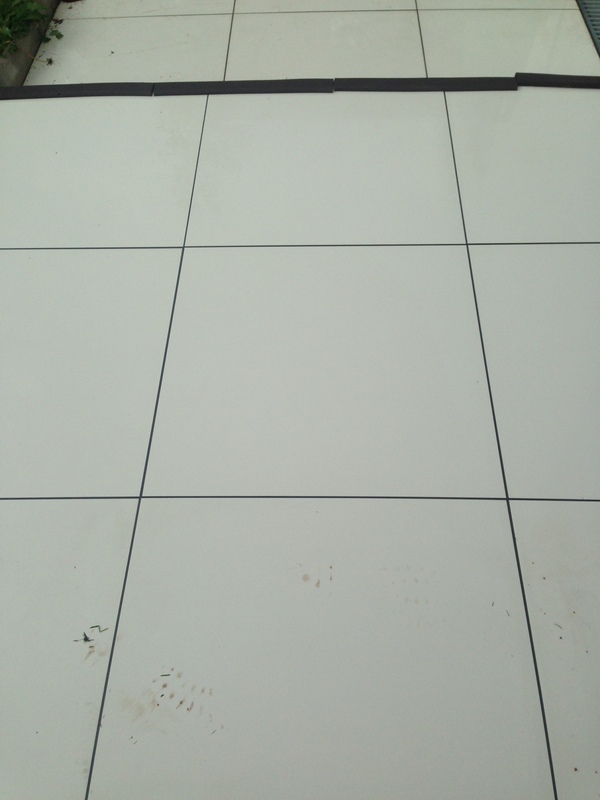 Our client in Lincoln had this issue, however as you will see from the pictures below we managed to get it looking like new again. 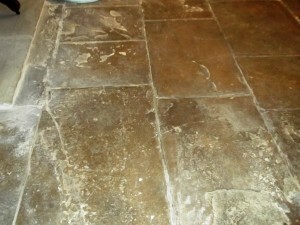 The Slate Floor Cleaning process involved a good cleaning with Tile Doctor Pro-Clean Tile and Grout cleaner, it’s an alkaline rather than acidic product that doesn’t harm the surface of the stone but is very effective at cleaning. 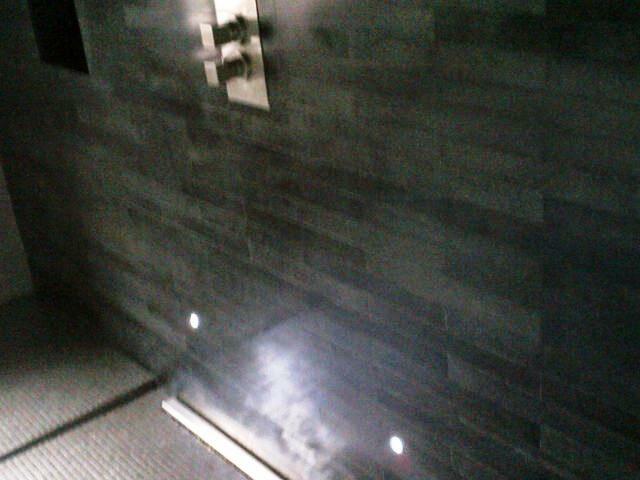 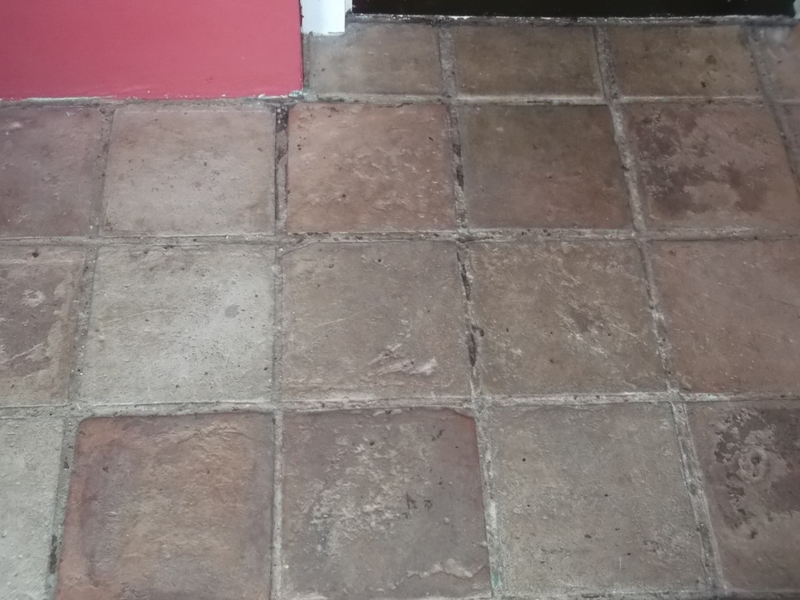 We left the product to dwell for a while before giving the tile a good scrub to lift the soil and dirt trapped into the pores of the riven slate floor tile. 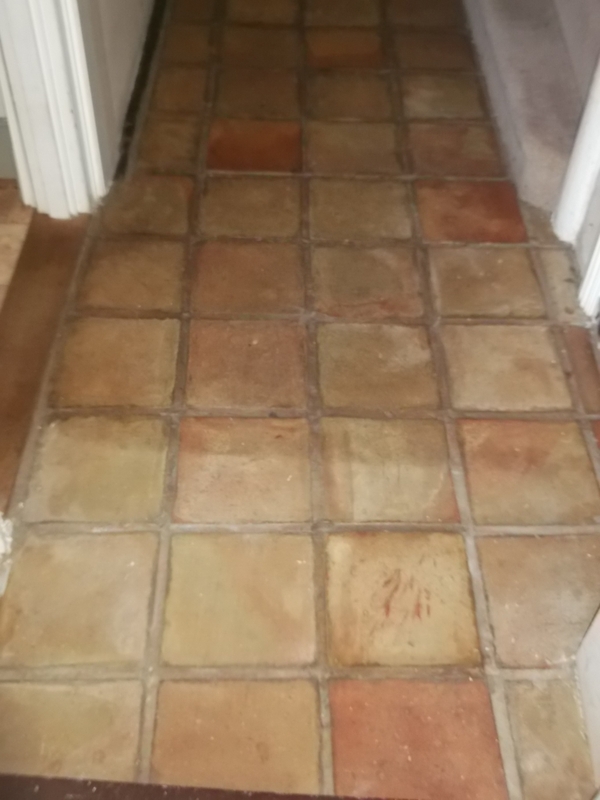 Once the slate tile and grout were looking clean we gave the floor a good wash down to remove any remaining chemical and neutralise the floor. 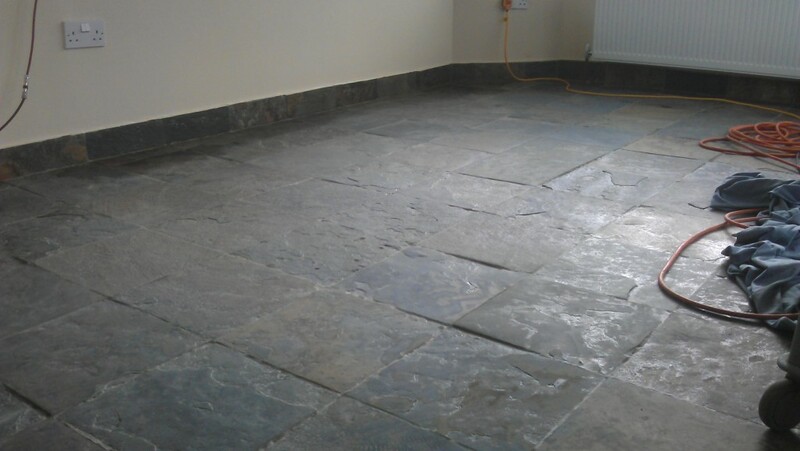 We left the floor to dry overnight and came back the next day to seal it using Tile Doctor Pro-Seal which is gives the floor a natural look and really lifts and reveals the colours in the slate. You can see from the photographs the difference and how amazing the colours are. The client was so pleased he has booked us in to return and do some more work for him. 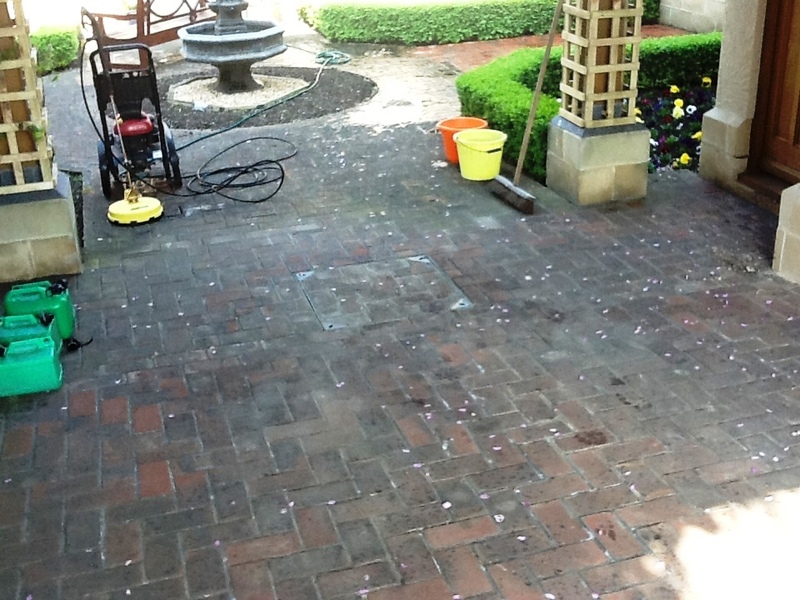 So we returned to the property to clean the courtyard area, which we deep cleaned with a jet wash machine and Tile Doctor Pro-clean solution. 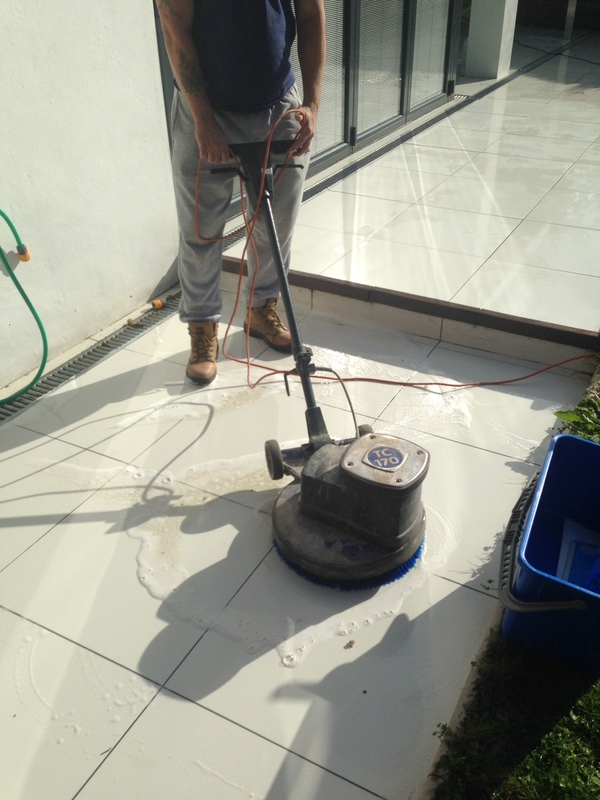 We started by mixing the Pro-clean with water and spread it over the surface scrubbing it with a Tile Doctor black scrubbing pad on our rotary machine. 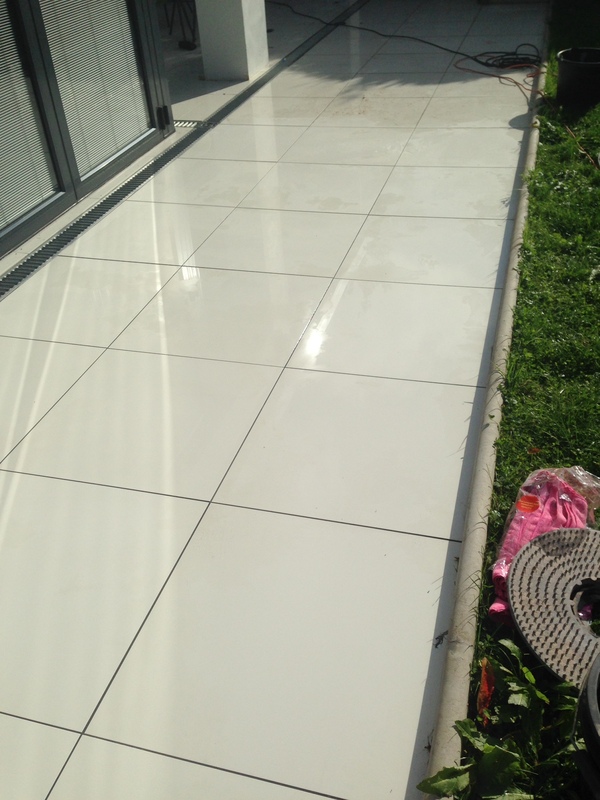 This was left to dwell for 30 minutes then we fitted our patio spinner to our jet wash and thoroughly cleaned and rinsed the complete area. 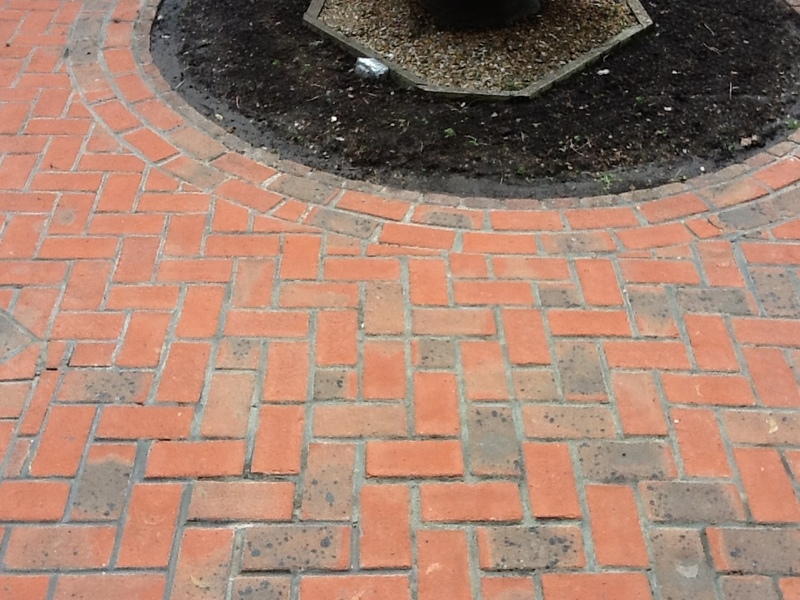 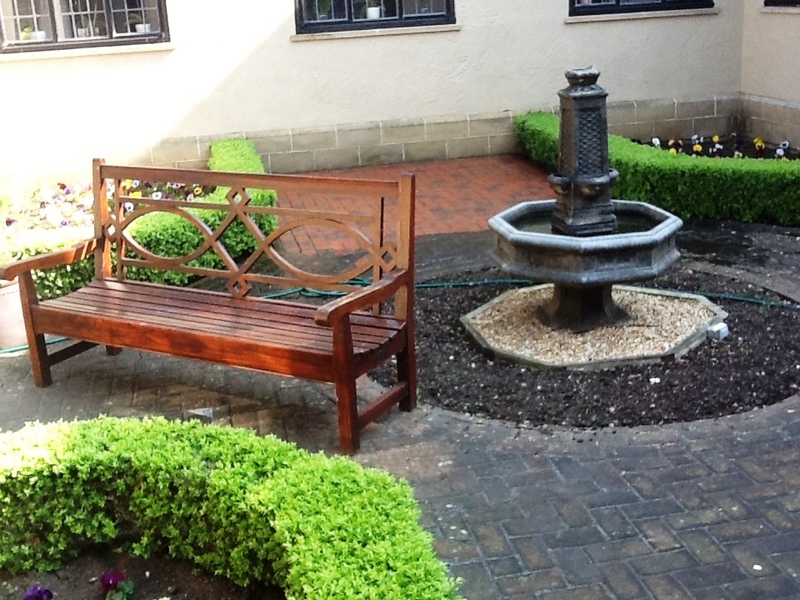 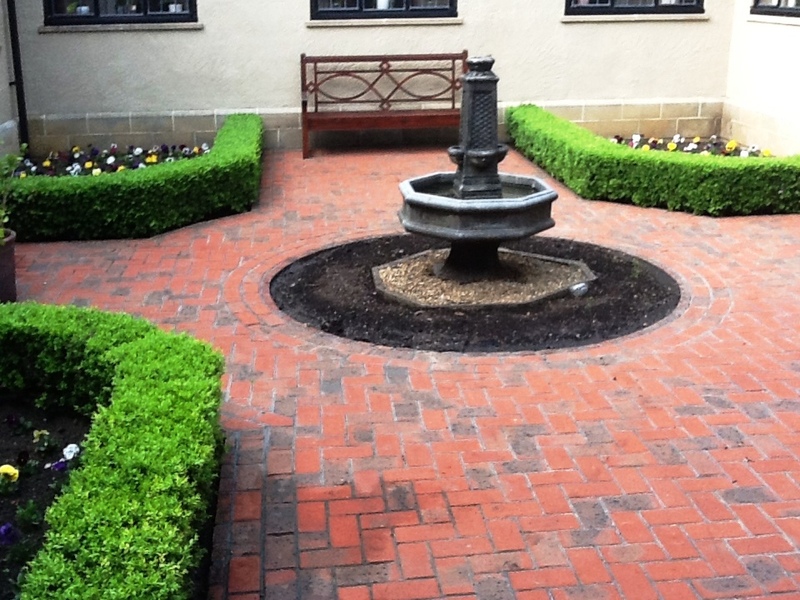 Original Source: Courtyard Restoration in West Surrey. 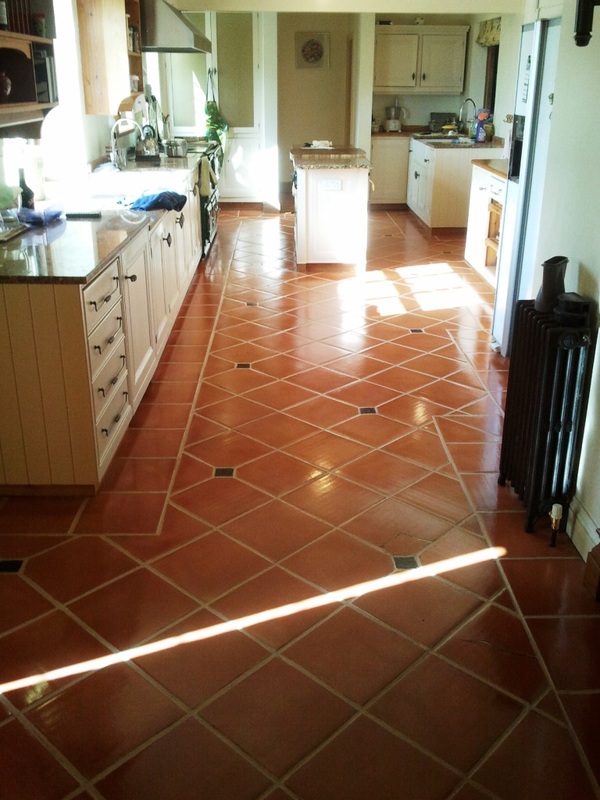 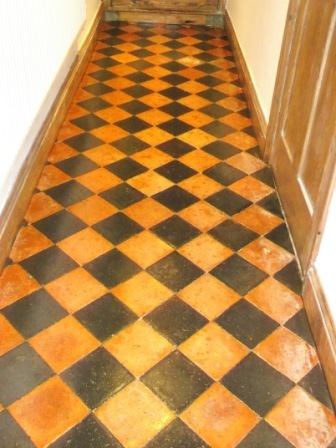 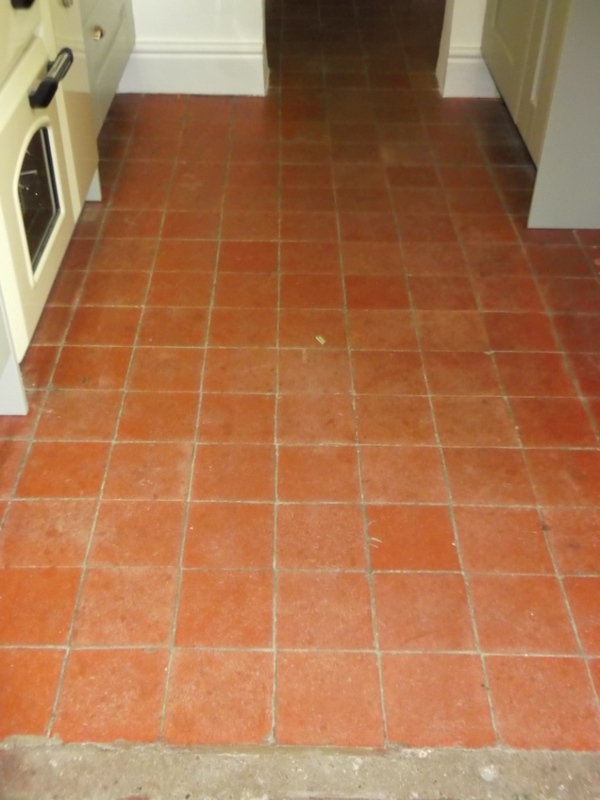 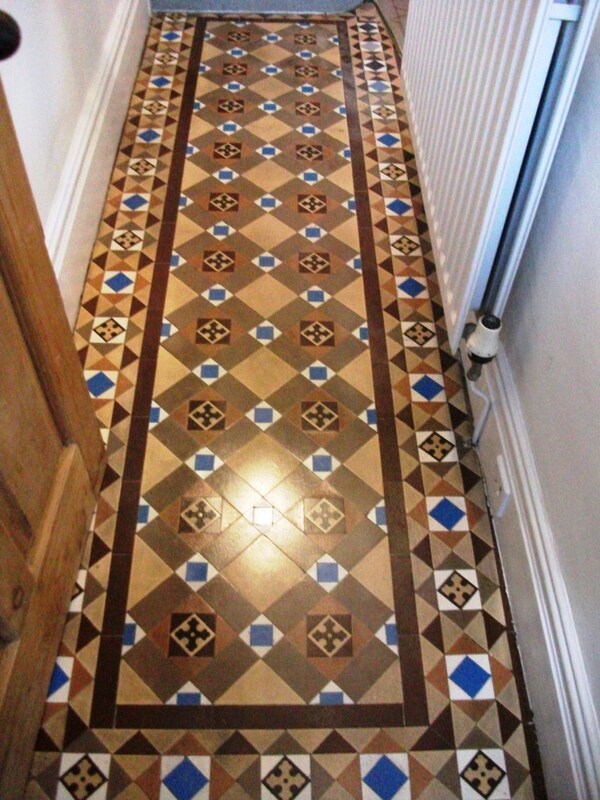 Original Source: Cleaning Terracotta Floors in West Surrey. 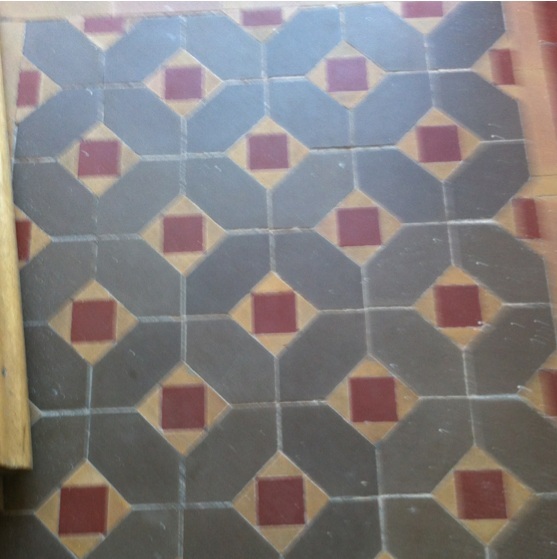 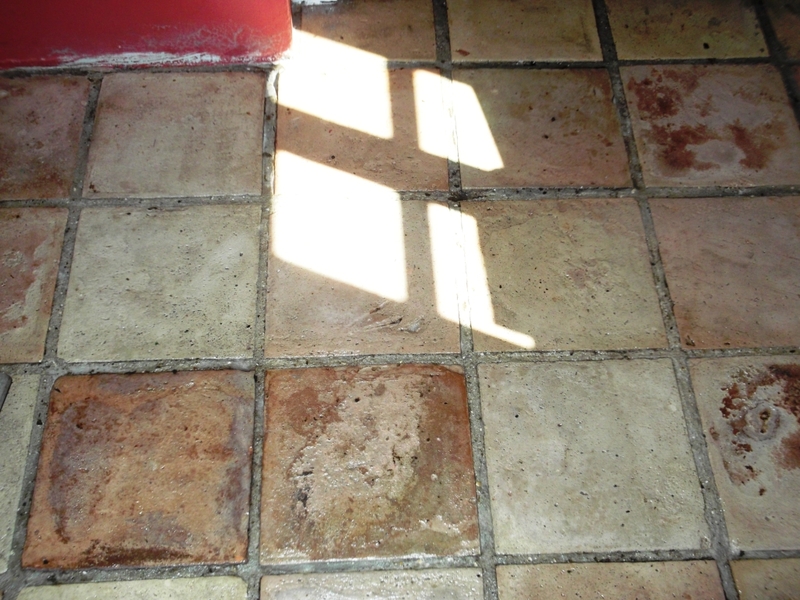 Original Source: Quarry Tile Floor Restoration by Tile Doctor Suffolk. 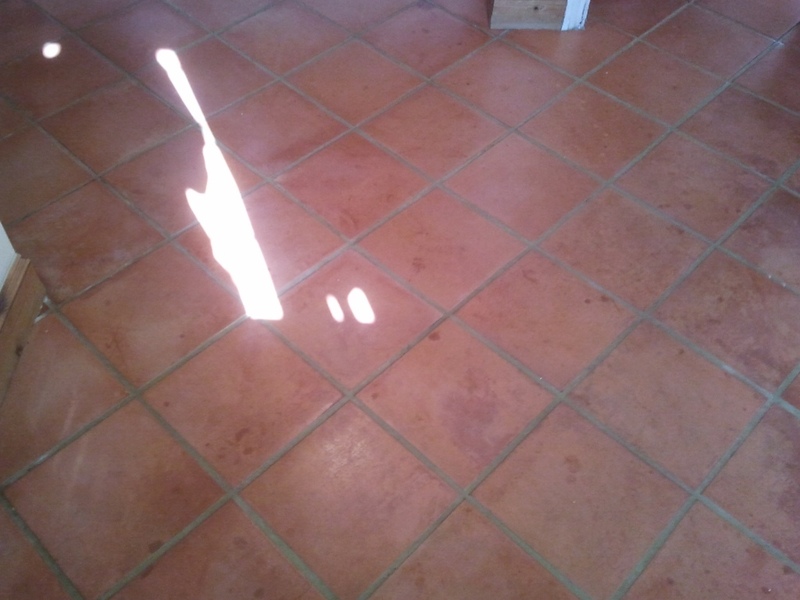 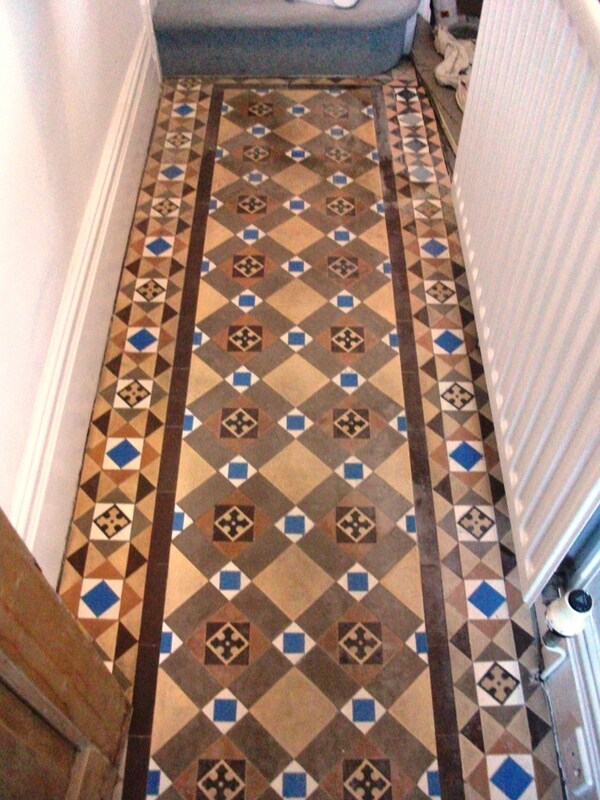 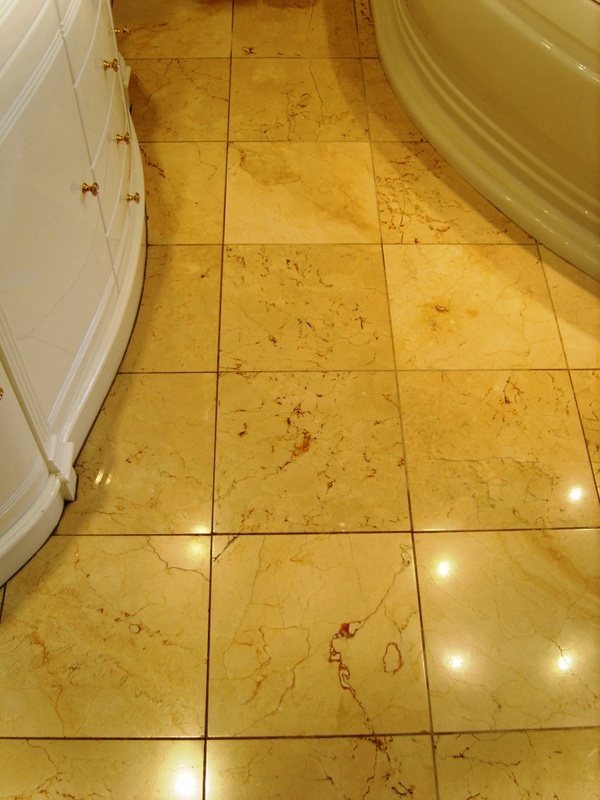 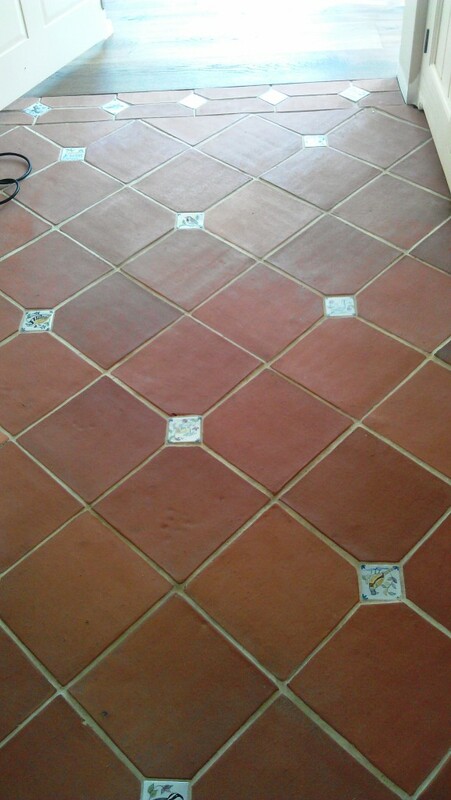 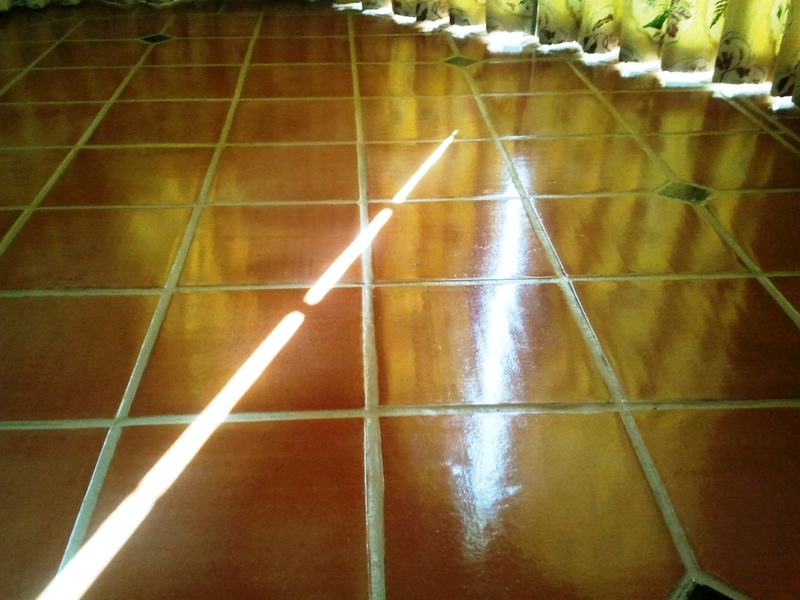 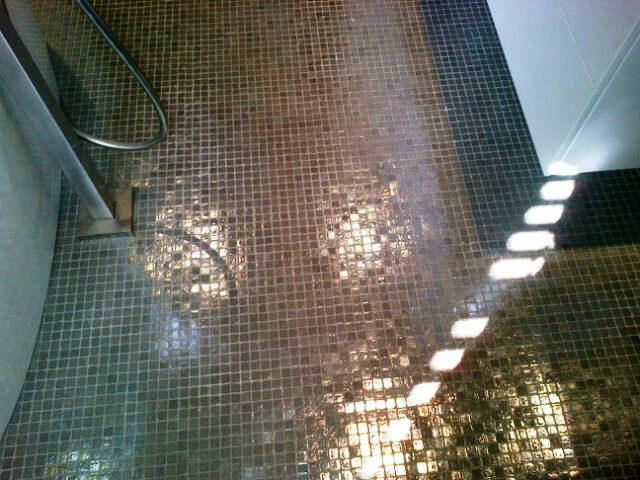 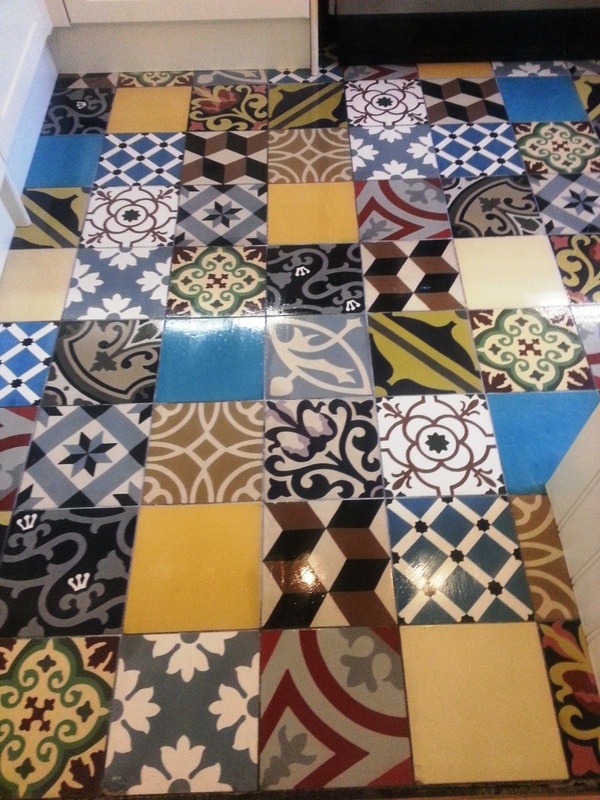 Original Source: Quary Tile Floor Restoration by Tile Doctor Suffolk. 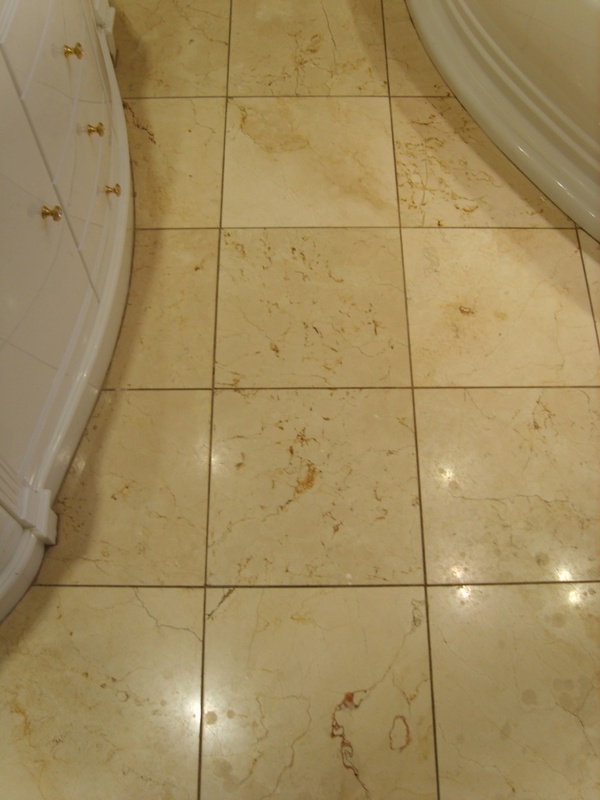 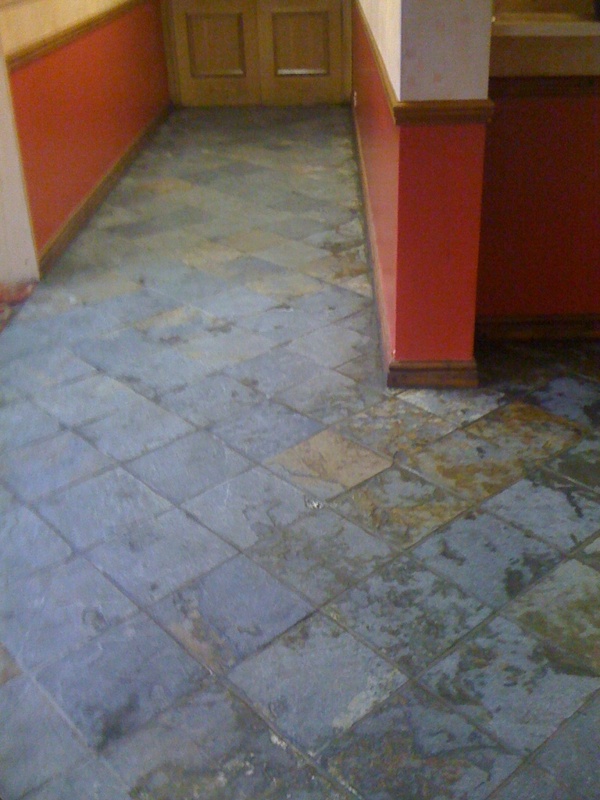 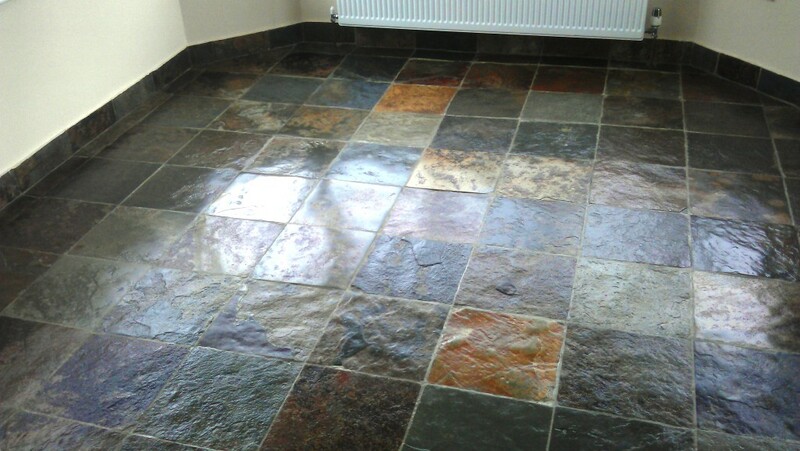 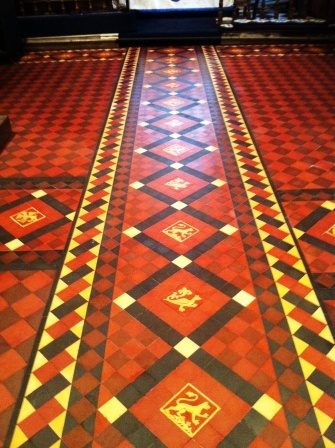 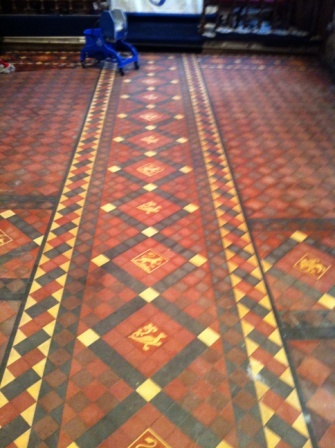 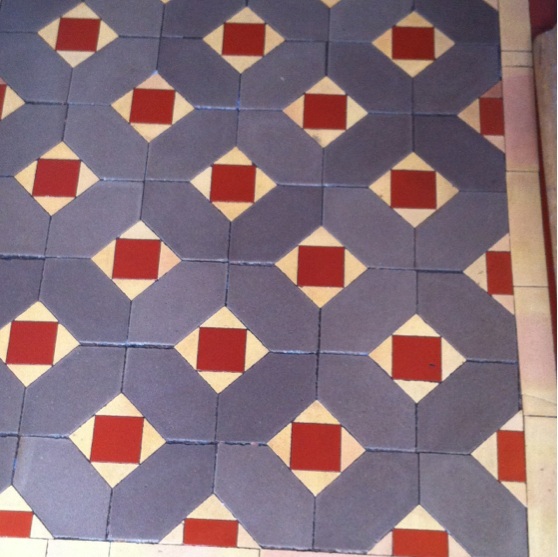 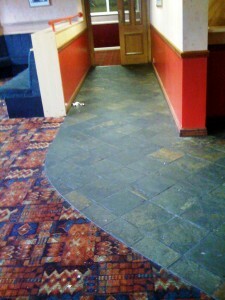 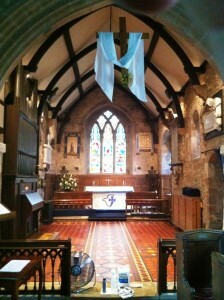 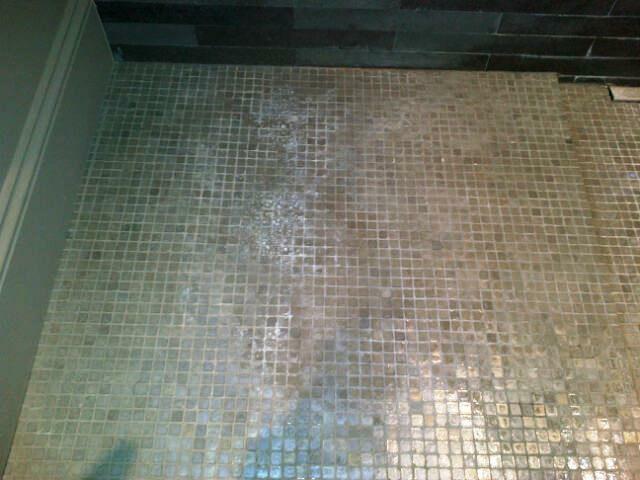 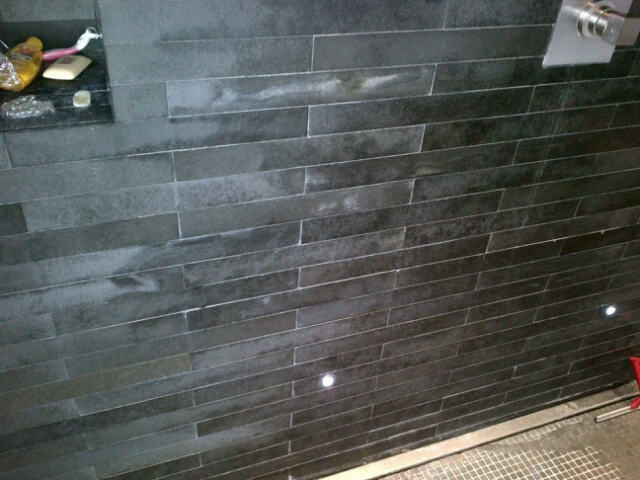 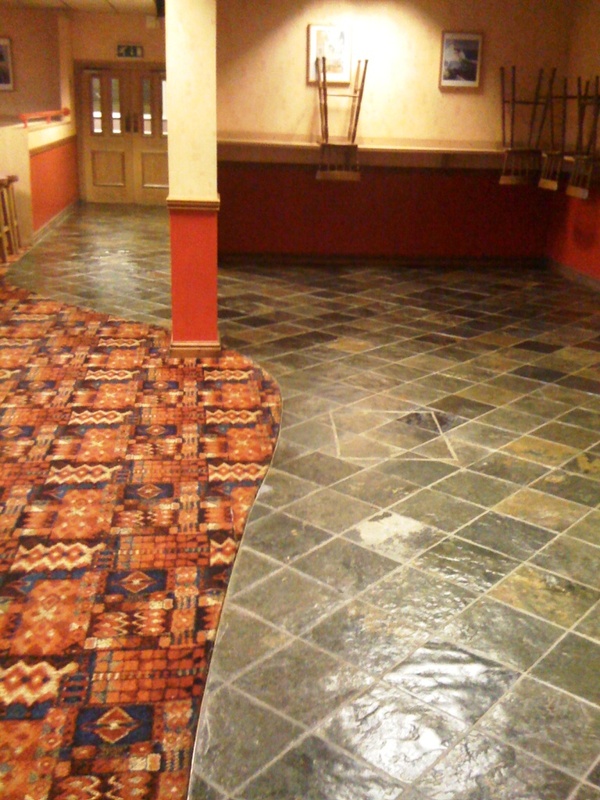 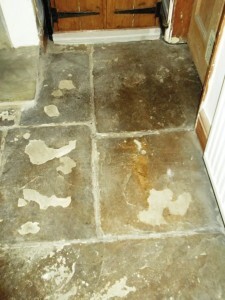 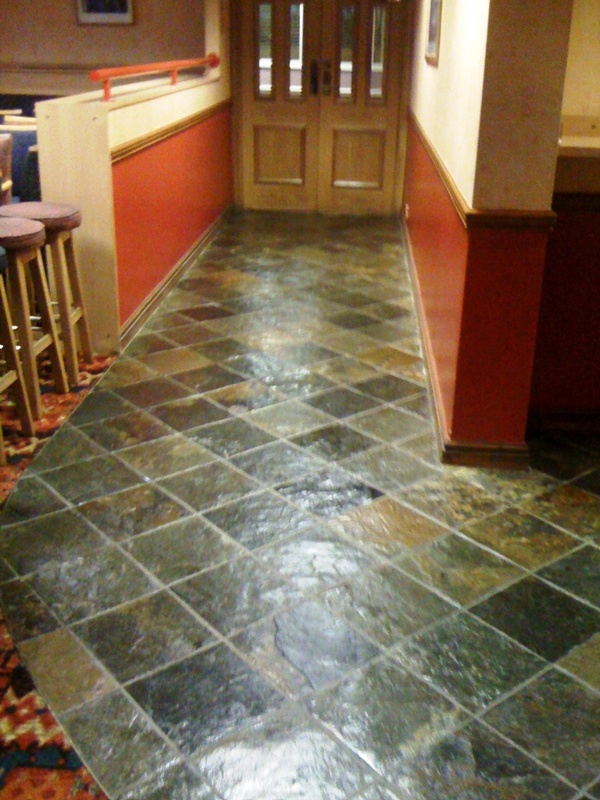 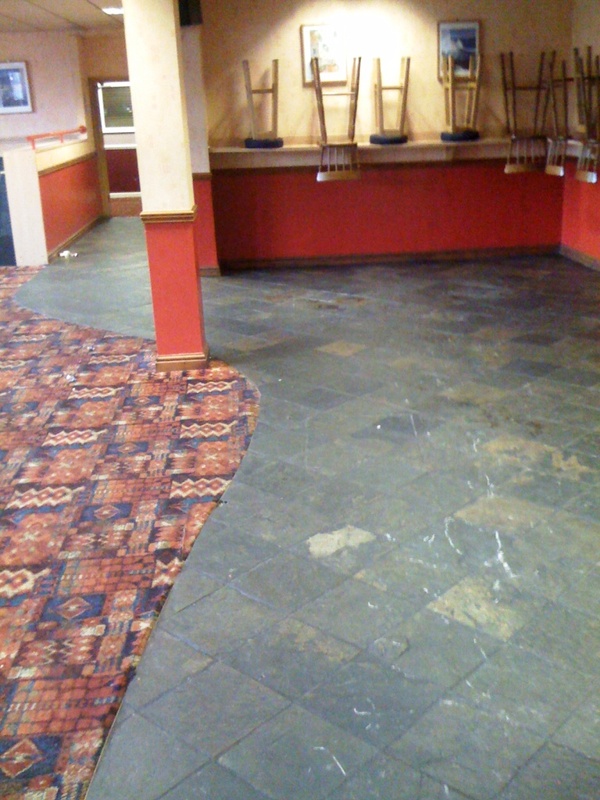 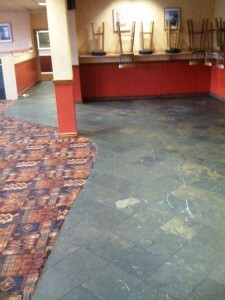 Original Source: Slate Tile Cleaning and Sealing by Tile Doctor Warwickshire.